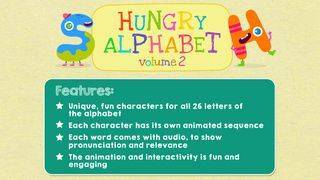 What is it and what do you do with it: animated flashcards introducing kids to the letters of the alphabet. Choose a letter (e.g. 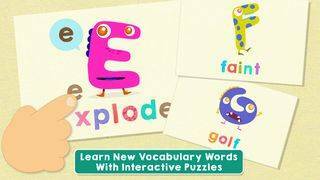 D) then feed the D Monster all letters which spell the word 'door'. 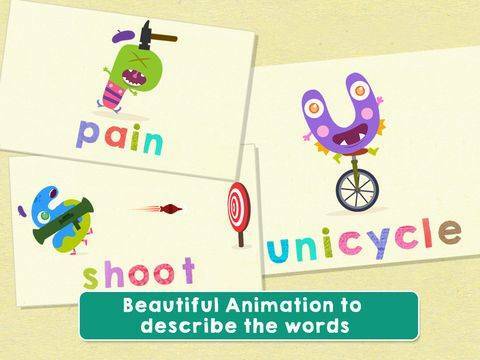 Then watch a short animation featuring the D Monster and the word 'drill'. 'A is illustrated by 'acrobat', 'B' represents 'birthday' and so on. What we liked: the concept. 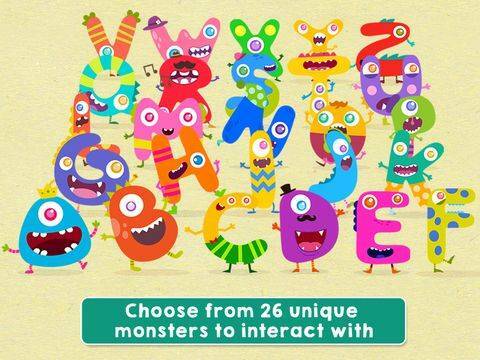 Fun letter monster characters. 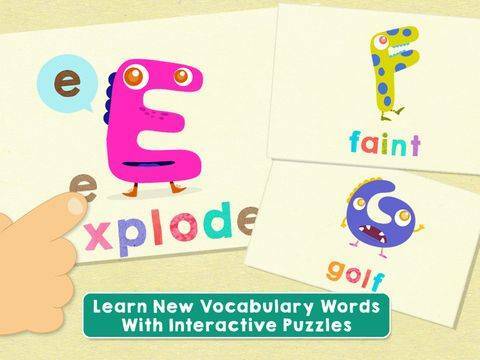 Short animations illustrating each word/letter. Spoken narration. Ease of use. Background music and sounds. 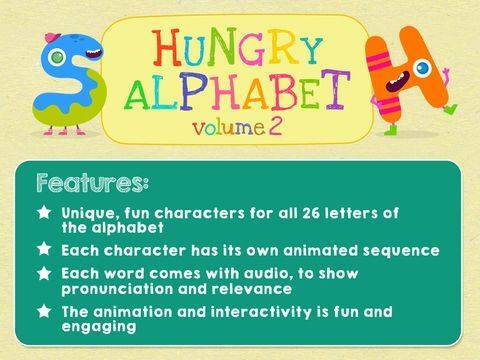 What we didn't like: uppercase (monsters) and lowercase (menu) mix up. Can get a bit repetitive after some time - we wish there was more variety in the activities.